October 1, 2018 -- The Library has re-subscribed to Criterion on Demand a streaming video platform that provides access to a growing library of more than 4,000 feature films including classics, foreign films, new releases and documentaries. The collection comprises films from a number of leading production companies such as 20th Century Fox, Paramount Pictures, DreamWorks, Warner Brothers, as well as smaller independent producers such as Mongrel Media. This collection is licensed for personal research or educational/instructional classroom use only, and films may not be screened for other purposes. August 30, 2018 -- The Library has re-launched its Kanopy streaming video program. The new Kanopy films program allows OCAD U students, faculty and staff to view more than 10,000 films from a variety of broad subject areas such as design, visual arts, and film, gender and indigenous studies. Films in the collection include training, documentary and feature length productions from a range of producers/distributors such as Criterion/Janus films, Media Education Foundation, PBS, BBC and more. Films can be accessed via Kanopy directly using the link on the A - Z Databases list or by searching the Library's discovery system Summon. October 6, 2017 -- E-Resource Cancellations: AnthroSource, AdForum, Cambridge Journals Online, Film & Television Literature Full-Text, and IEEE All Society Periodicals. In addition to the previously announced e-resource cancellations, the Library will be cancelling six more subscriptions through the remainder of the fiscal year in conformance with the institutional budgetary Remedial Action Plan. Descriptions of these resources, alternative resources and subscription end dates are described in detail in Library News. September 14, 2017 -- Library E-Resource Cancellation: Criterion on Demand (CoD) is a streaming video platform that provides access to a growing library of more than 1500 feature films; including classics, foreign films, new releases and documentaries. Some of the films in CoD will remain available in physical formats held within the library. Alternate educational and documentary streaming films are available through both Kanopy and Films on Demand subscriptions. Criterion on Demand will no longer be available to the OCADU community as of October 2017. September 12, 2017 -- Library E-Resource Cancellation: Art Museum Image Gallery (AMIG) provides access to more than 130,000 images of artworks from distinguished museums around the globe. AMIG will no longer be available to the OCADU community as of August 2017. June 19, 2017 -- Library E-Resource Cancellation: Oxford Islamic Studies Online. This resource provides access to more than 5,000 reference and biographical entries, chapters from scholarly introductory works on Islam as well as images, maps and timelines. The Library will be ending its subscription to OISO as of July 1, 2017. For further information see the full cancellation notice. June 1, 2017 *update* -- Ebrary Ebooks is now Ebook Central as of June 1. As a result of the platform migration process off-campus, and login features were temporarily interrupted on May 31st and June 1st. All functionality has since been restored. May 30, 2017 -- Due to budget reductions the Library is cancelling several subscriptions to academic databases in the months of June and July. These cancellations include EBSCO Academic Search Premier & Masterfile, Textile Technology Complete, and Literature Criticism Online (LCO). These resources were selected for discontinuation based upon their decreasing and/or low usage and content overlap with other currently subscribed e-resources. Descriptions of each of these resources, rationale for cancellation, suggested alternatives, and subscription termination dates are outlined in this notice. October 3, 2016 -- The Library has recently purchased a collection of biomedical ebooks from publisher Morgan & Claypool. The titles are part of the publisher's Synthesis series and cover a range of biomedical engineering and design topics such as assistive technologies, human factors in computing systems, and body tracking in healthcare. Titles in this series are peer reviewed and intended to synthesize important research or development topics. August 1, 2016 -- ACLS Humanities Ebook Collection is now available thorough the library. 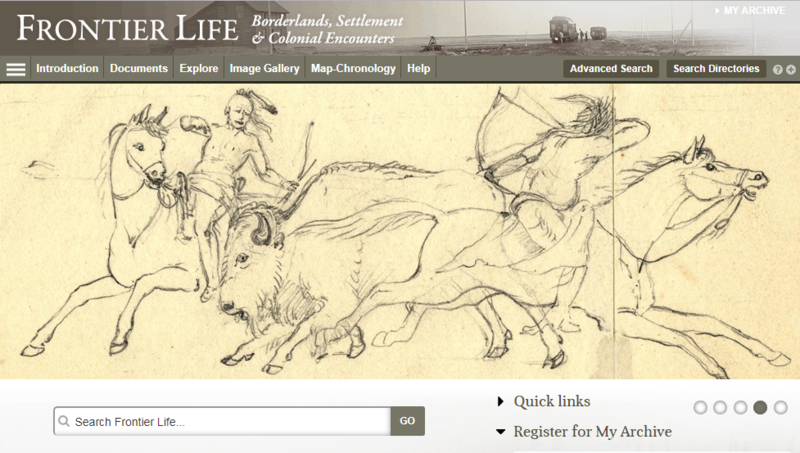 This resource includes 4,680 full-text, cross-searchable books in the humanities selected by scholars for their continuing importance for research and teaching. Content includes many prize-winning works selected in collaboration with member societies of American Council of Learned Societies and more than 100 publishers. June 10, 2016 -- The Library is ending its subscription to ProQuest’s RefWorks citation management software effective August 31, 2016. The decision to end support for RefWorks at OCAD was arrived at after a thorough evaluation of local usage, cost effectiveness, potential impact on our users and the availability of comparable, and free, citation management systems. It will be necessary for all RefWorks users to back-up and export their data (including all files and citations) prior to August 31. March 4, 2016 -- Trial Ended. The library is providing trial access to Kanopy, a streaming video service which offers access to more than 28,000 films, until April 15th. Kanopy serves streaming films in a wide variety of subject areas such as literature, history, visual arts and indigenous studies. Films in the collection include training, documentary and feature length productions from a range of producers/distributors such as Criterion/Janus films, Media Education Foundation, PBS, BBC and more. The Library invites community input on trial resources, please contact us to submit any feedback on this resource. March 2, 2016 -- Trial Ended. The library is now offering trial access to ProQuest Canadian Newsstand until March 28th. Newsstand offers access to decades of full text articles from more than 300 regional and leading national newspapers. This resource provides access to major daily news publications such as The Toronto Star, National Post, and the Globe and Mail as well as local community papers like The Parkdale Villager and Markham Economist & Sun. Coverage for some titles extends as far back as the early 1980’s, with the majority of title coverage beginning in the early 2000’s. The Library invites community input on trial resources, please contact us to submit any feedback on this resource. February 18, 2016 --- The Library has recently subscribed to Canadian Health Research Collection which provides access to a growing health policy and medical research collection of 10,000 ebooks and reports. The publications in this collection come from an array of respected Canadian research institutes, government agencies and university research centres. February 16, 2016 -- Films On Demand has launched a new platform which includes significant design and server infrastructure upgrades. The improvements include speed and performance enhancements as well as a re-designed and responsive interface, ensuring a seamless user experience on any type of device. 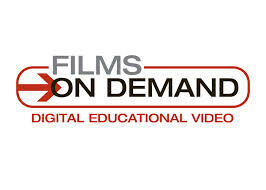 Films On Demand provides access to more than 15,000 educational streaming media titles to the OCAD U community.